If you're a loyal reader of this blog (thank you, by the way! ♥) then you'll have seen that I am obsessed with hair products. If you're new to this blog or simply haven't read many of my posts, then here's an introduction. My name is Emily, and I am a hair-product-aholic. I have tried all brands, jumping from one brand to another on a whim, leaving a trail of unfinished (sometimes almost unused) hair products behind me. Walk into my bathroom in Melbourne and you'll find boxes and boxes worth of hair products, just sitting there. And that's excluding the hair products I've already given away. What I want? It's simple. Sleek, shiny hair. Hair that doesn't kink or frizz. Hair that doesn't need styling. IS THAT TOO MUCH TO ASK?! Anyway, I digress. This review is of a hair product that I personally have found surprisingly effective and more importantly - affordable. Why pay more when a cheaper product can do it for you for a fraction of the price, right?! Love the clear bottle, love the pump. It works beautifully and smoothly, so you can control exactly how much you want to dispense. This contains one of the most marketed and most celebrated oils out there at the moment, Argan Oil. Miraculous Oil is different however in that it is enriched with weightless Argan Oil, meaning that it can be used by all hair types! It is liquid, and basically looks and feels exactly like any other oil out there. But once you apply it, it sinks into your hair and doesn't leave any greasiness or heaviness behind. You can apply it either to damp or dry hair, though I find that applying it to damp hair helps it settle the hair a little bit better. If you have about shoulder-length hair or coarse, then pump out product the size of a 20 cent coin, and that will do. Shorter hair, or fine hair, will only need about a 5-cent coin's worth. Long hair will need slightly more, so remember to play around with the quantity that you apply until you get the perfect amount, and please never, ever apply any kind of moisturising, oil-based product onto the roots of your hair! There are so many ways you can use this product, including: as a hair mask (apply a couple of full pumps all over your hair and leave it on for about 20 mins before you hit the shower, or you can actually leave a thick layer on overnight before hopping into the shower the next morning, just bear in mind that you'll have to have a change of pillowcase ready); as a booster for your hair conditioner (just dispense a couple of drops into your regular conditioner and rinse off after a couple of minutes as usual); as an everyday leave-in conditioner (apply it anytime to tame flyaways and boost shine); and my favourite - post shower, to allow the hair to settle and dry without frizzing up. This hair oil also smells lovely - a kind of fruity fragrance that isn't too sweet - too bad it doesn't last very long after you apply it! I don't expect miracles when it comes to my hair products, just some semblance of normal will do. This particular hair oil does exactly what it says. It doesn't claim to repair damage that's already been done to the hair. All it says is that it helps to smooth the hair, softens it, and boosts shine. Smoother hair? Check. No more frizzy flyaways. Softer hair? Check x2. My hair is much softer and tangles less when I use this. Boosts shine? Check. I'm not talking runway-type shine here, particularly for me with my hair type, coupled with the fact that I never style my hair. 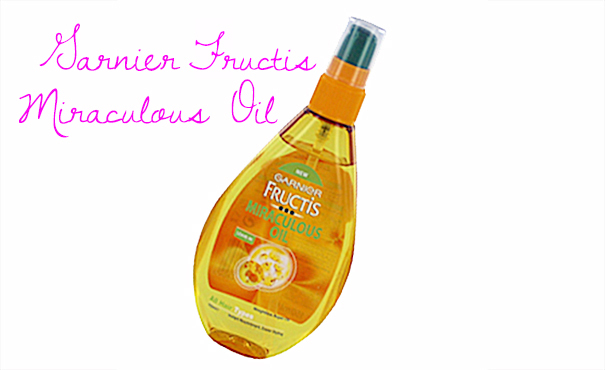 But if you do style your hair, the finished result is much shinier with this oil than without. The RRP for this product is AUD 11.95 per 150mL bottle in Australia. That's pretty damn impressive, given what the product can do. Overall, this oil would perform miracles (ha, see what I did there) on anyone with normal to fine hair. If you have slightly coarser hair, like mine, I would also recommend it - it performed just as well as higher end products for me. Oh, and if you don't believe me, read countless other voices and experiences here.